Beyond Productions / ABC. x60mins. 1998/2000. Creators: John Clarke, Ross Stevenson. Producers: Denise Eriksen (1998), Mark Duge (2000). CD (OP) ABC Audio. ISBN 0 642 55637 7. 2000. 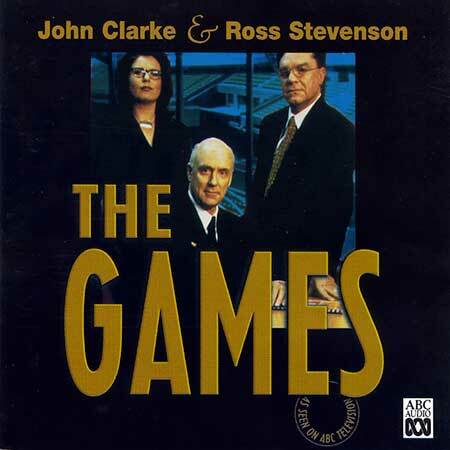 "THE GAMES JOHN CLARKE & ROSS STEVENSON". 01: The 100 Metres Track. 02: New Technology and Y2K.